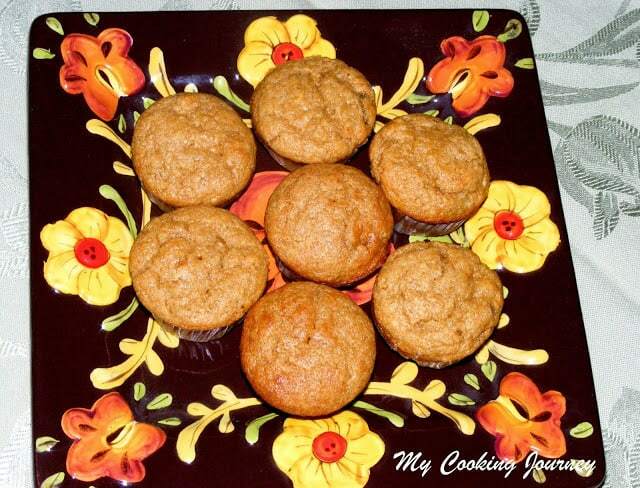 For day 2 of blogging marathon under the theme car snacks, I have these healthy, whole wheat flour banana muffins. 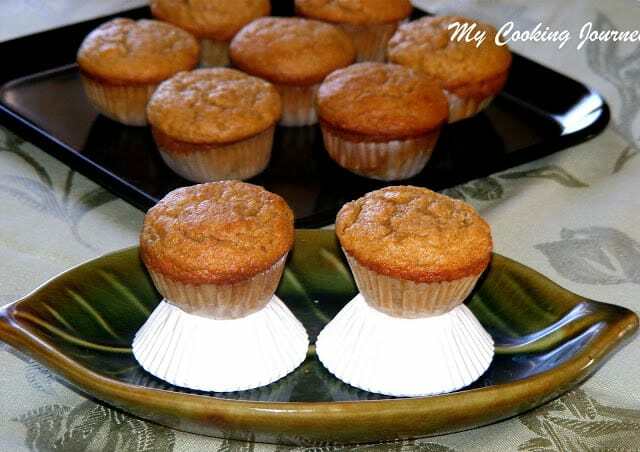 In the past I have used whole wheat flour but always felt that the texture of the finished goodies is dense and grainy. 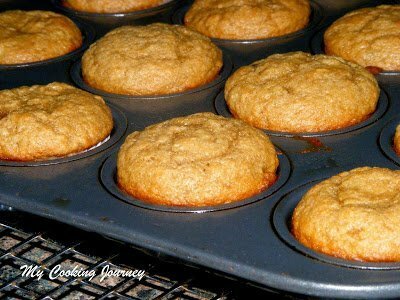 So I like to substitute part whole wheat along with all purpose flour to make it part healthy. After trying out the whole wheat pastry flour in the past few days, I am absolutely in love with it. 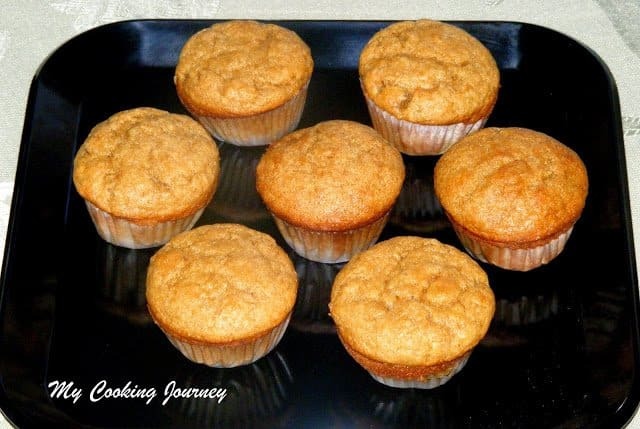 The texture is perfect and no more grainy, whole wheat feeling in the mouth. 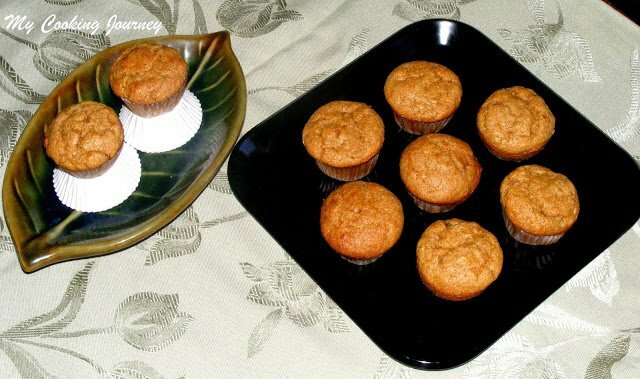 These muffins are naturally flavored with the banana flavor and are egg less. 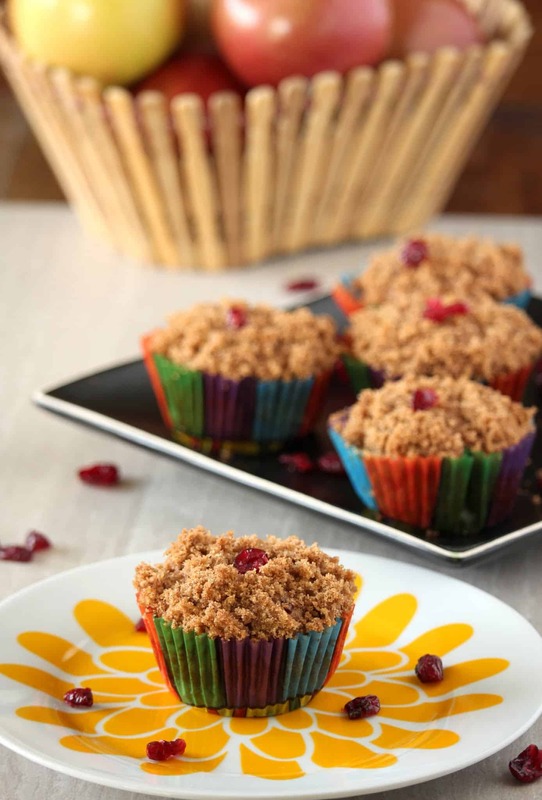 The texture is perfect and moist with the right amount of crumble. 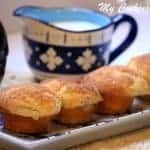 There is no butter in the recipe and it uses only about 3 tbsp of vegetable oil. 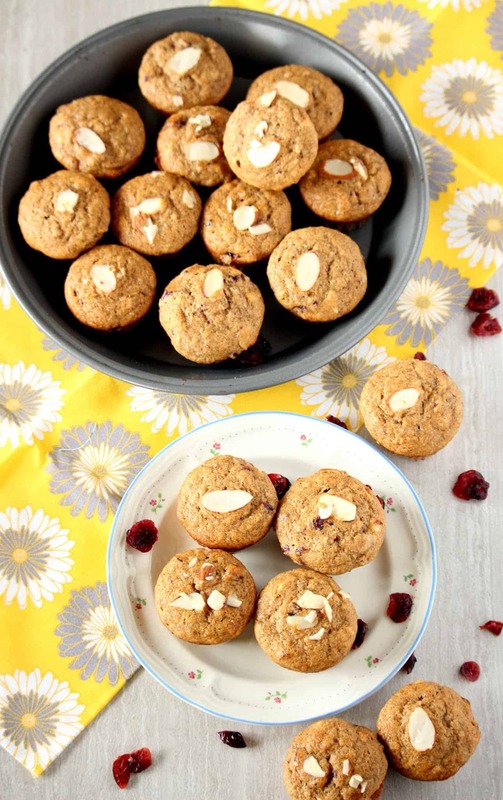 The buttermilk in the recipe works wonder and is the big reason behind the moist muffins. 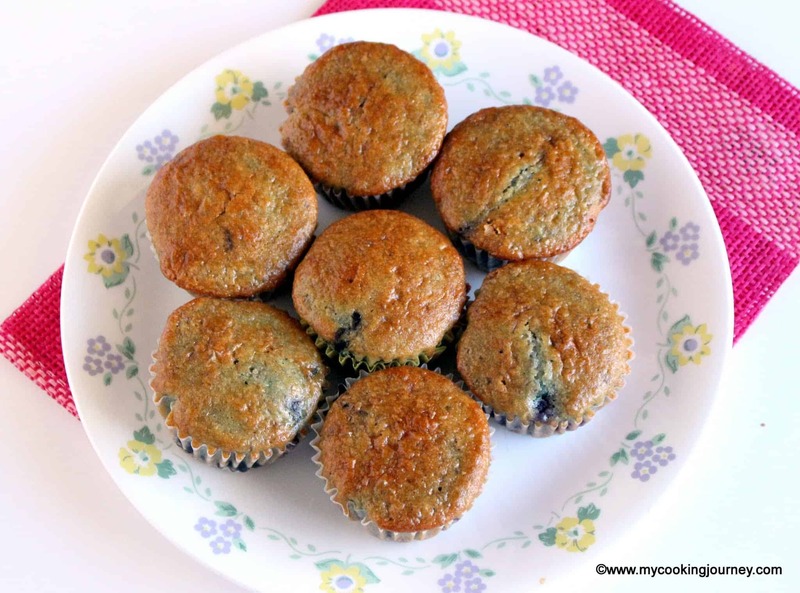 I also make the muffins bite size in the mini muffin pans to make snacking easier when on the go. 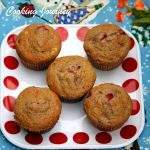 I have added pineapple chunks in my muffins because I had some in my pantry, but you could add any fruit chunks, berries or nuts to the muffin. 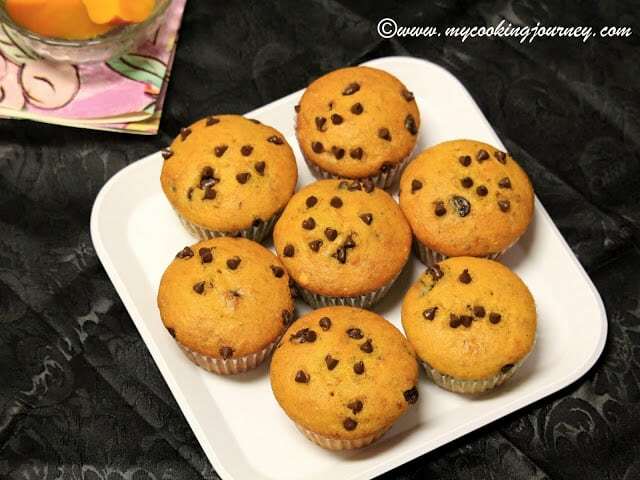 My muffins were moderately sweet. 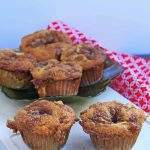 If you like sweeter muffins, increase the brown sugar to one cup. 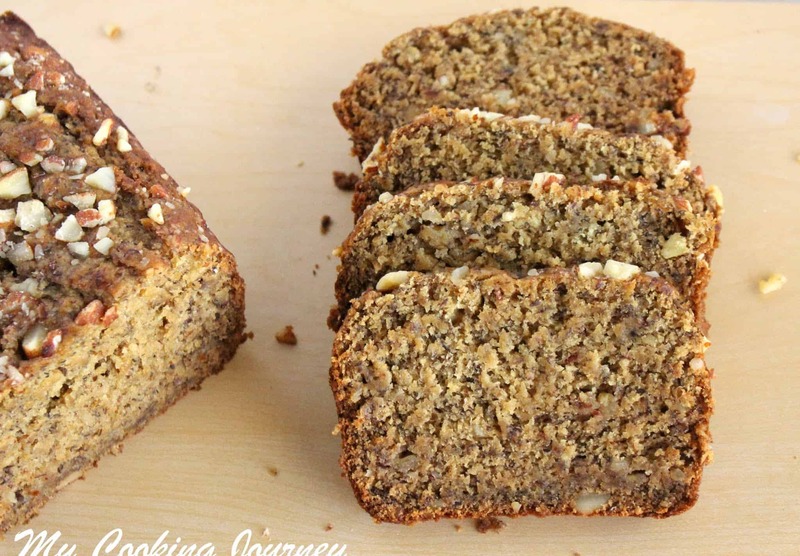 Check out my egg less banana walnut bread recipe here! 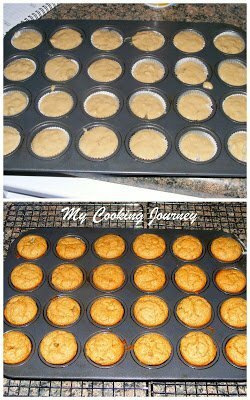 Preheat the oven to 350 F. Line mini muffin trays or regular ones with liners or spray with non stick spray and keep it aside. 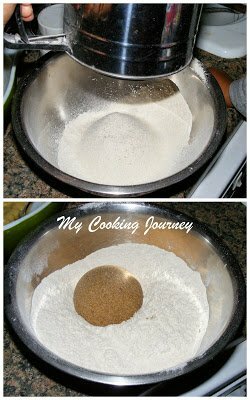 Sift together the flour, baking soda and baking powder in a bowl. 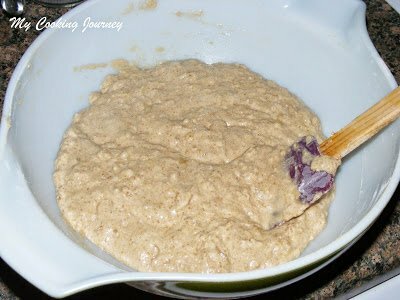 Add the brown sugar to it and mix until well combined. 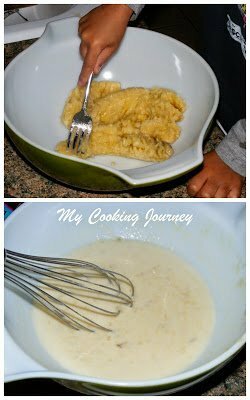 In a large bowl, mash the peeled bananas with a fork until mushy. This is a perfect job for little hands. 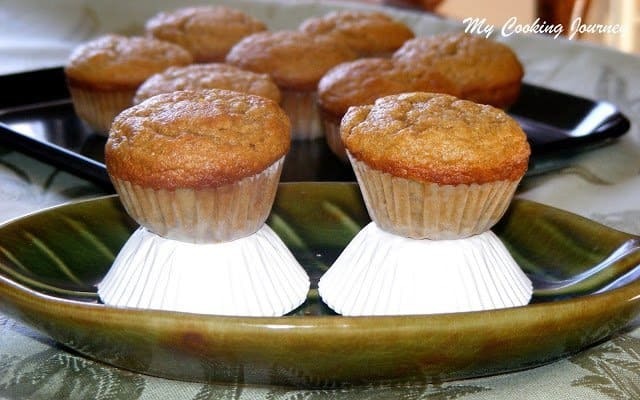 Measure the buttermilk, oil and vanilla extract and add it to the mashed bananas. Whisk well to combine. Now add the dry ingredients to the wet ingredients bowl and mix to combine. Do not over beat or mix hard. Gently fold in to combine. Also add the pineapple chunks at this point and mix. Fill each of the prepared try with the mixture just until the rim. Do not overfill. 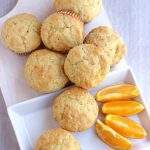 Bake in the preheated oven for 15-18 minutes or until the toothpick inserted in the middle comes out clean. Cool in the pan for about 5 minutes and then cool in racks.